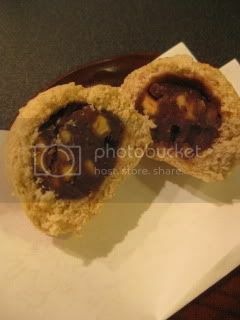 Anko (red bean paste) was mixed with roasted walnuts. 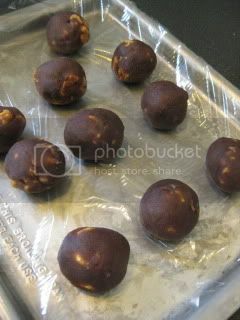 They were made into balls. 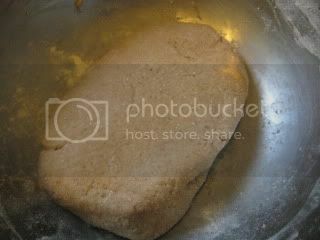 The dough was made from wholewheat flour, baking powder, sake lees ("sake-kasu"), sake, and sugar. 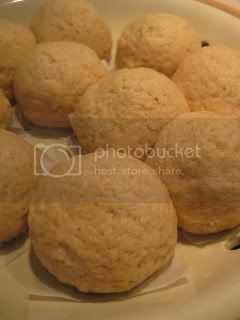 They were also made into the same number of balls as the anko balls and pressed into a disk shape. Each anko balls were wrapped in the dough (then I brushed extra sake on the surface) and steamed in the donabe steamer, "Mushi Nabe" for about 10 minutes. The aroma was so sake-eey and so beautiful. 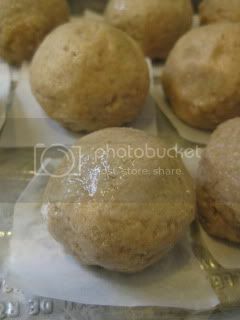 You can really smell and taste the sake in the maju (dumpling) skin. I love it. You can find the recipe on toiro's website. It's so easy, so hope you will try.